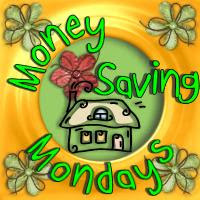 My Little Patch of Sunshine: Money Saving Monday #31 - Clearance! For Halloween, we gave out Halloween themed pencils and dum-dum lollipops. The pencils I purchased after last Halloween for $1.50 for 90 pencils. I put them away on the shelf where I keep these things, and pulled them out for Halloween. My kids were mortified that I was giving away pencils, so I also bought a big bag of dum-dum suckers. I took our Christmas card photo this weekend. My boys each wore an adorable holiday tie that I picked up last year after New Year's. The ties which sold for $15 during the season cost me $2.40! Clearance sales are a great way to plan ahead for future holidays. If you're like me, and sometimes buy things for the future and then completely forget about them, I'll share my trick. I put a note in my calendar! I use Google calendar to plan our lives, so I scheduled an event for October 1 about Halloween pencils. Google will email you about your events if you set it up, so on October 1 I received an email reminding me that I had a stash of Halloween pencils in the house! I headed out yesterday morning to see what I could find for Halloween clearance this year, and the shelves were pretty bare already. I think retailers purchased less inventory this year, so there is less to clearance. If you want to catch some deals, I suggest heading out today and seeing what you can find! We love getting pencils for Halloween!